Fig. 1. 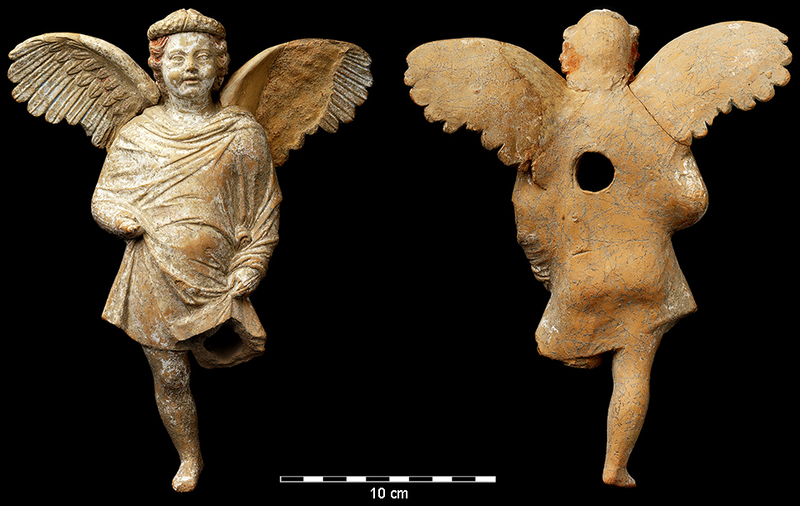 The Eros terracotta figurine from Tel Kedesh, front and back views (P. Lanyi; courtesy Sharon Herbert and Andrea Berlin, Tel Kedesh Excavations). Fig. 2. 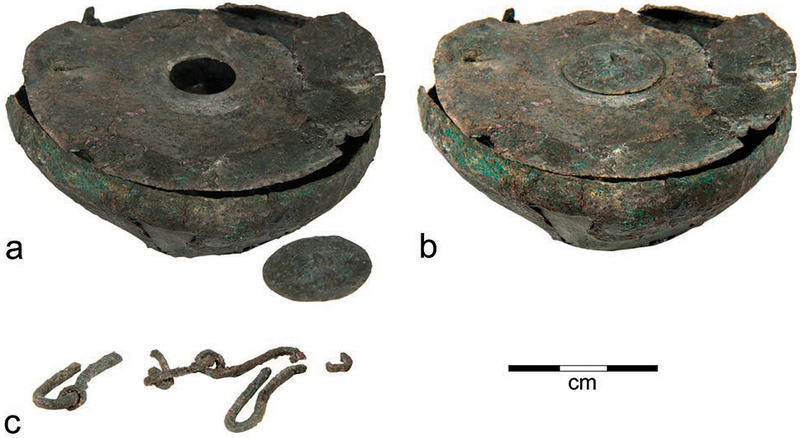 Bronze stylus in its iron case, from Tel Kedesh (P. Lanyi; courtesy Sharon Herbert and Andrea Berlin, Tel Kedesh Excavations). Fig. 4. 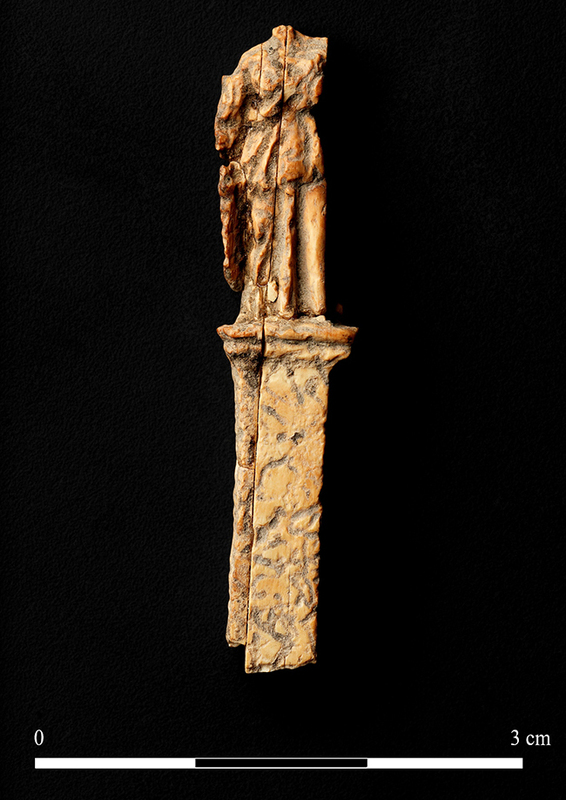 Bone hairpin from Tel Kedesh (P. Lanyi; courtesy Sharon Herbert and Andrea Berlin, Tel Kedesh Excavations).